At this time, Cooper Lake will add support for Bfloat16 to DL Boost. We’re not giving any more guidance beyond that in our roadmap. Good riddance, IMO. There are good reasons IEEE 754 used a different bit-allocation for their half-precision format. Given that bloat16 isn't useful for much beyond deep learning, I think it'd be a good call to drop it. 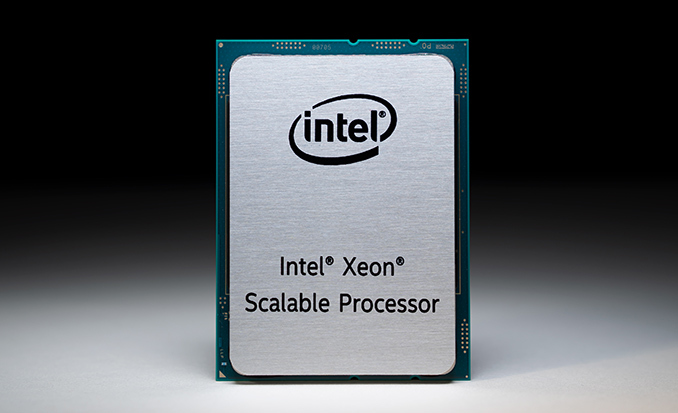 But Intel is pursuing a strategy of some sort of unified code across their product lines. So their CPUs should be able to run that code, even if it does so more slowly than an accelerator, or a fracture would be created and the strategy would seem suspect. There is likely to be a market for machine learning on CPU-only servers beyond 2020 and 1) if bfloat16 can help its performance then it would be good for it to be there and 2) it would be a problem if this market's codebase was separated from that of the rest of Intel's constellation because of the lack of compatibility with the format. Have they even said much about oneAPI? I doubt it can mean something like bfloat16 everywhere, because that would instantly obsolete all of their existing products. Perhaps they're talking about higher-level interfaces that don't necessarily expose implementation-specific datatypes. It is not a mistake to use a CPU for deep learning even though GPUs may do a better job. For one thing, for occasional deep learning it doesn't make sense to invest in the overpriced NVIDIA GPUs. And a CPU has a distinct advantage: its memory may be a lot slower than on a GPU, but it has one big memory pool that no GPU solution can beat. And offering alternatives do keep the pressure on those who do make AI accelerators to keep the pricing reasonable. blfloat16 is as useful as the IEEE half precision format or maybe even more useful. I know IEEE half precision is supported in some graphics or acceleration frameworks, and I am fully aware that it is a prime citizen in the iPhone hardware. But so far it look like in typical PC applications, areas where you would expect to see it actually use 32-bit floating point and in a number of cases even 64-bit floating point. And for scientific computing IEEE half precision is useless. For the most part, memory speed is vastly more important for deep learning than size. I think the main reason half-precision didn't see much use was a chicken-and-egg problem. Game developers didn't go out of their way to use it, because most GPUs implemented only token support. And GPUs didn't bother implementing proper support since no games used it. But since Broadwell, Vega, and Turing that has completely changed - the big 3 makers of PC GPUs now offer twice the fp16 throughput as their fp32. We've already seen some games start taking advantage of that. As for fp16 not being useful for scientific computing, you can find papers on how the Nvidia V100's tensor cores (which support only fp16 w/ fp32 accumulate) have been harnessed in certain scientific applications, yielding greater performance than if the same computations were run in the conventional way, on the same chip. Finally, I had the same suspicion about Ice Lake as you say. We knew that Intel had some 10 nm designs that were just waiting on their 10 nm node to enter full production. I know it is still a new tech direction, but I am hoping Anandtech or someone will soon get more in depth on training and inference. Hopefully there will be tools developed that will allow an idea of the relative capabilities of the approaches of these companies, from smartphone SOCs, through general CPUs and GPUs, to specialized accelerators. It seems to me that training benchmarks are harder than inference, especially when novel approaches are involved. The reason being that techniques like reducing precision usually involve some trade-off between speed and accuracy. So, you'd have to define some stopping condition, like a convergence threshold, and then report how long it took to reach that point and what level of accuracy the resulting model delivered. Inferencing with reduced precision is a little similar, but at least you don't have the challenge of defining what it is you actually want to test. Forward propagation is straight forward enough. But you still have to measure both speed *and* accuracy. I do see value in dissecting different companies' approaches, not unlike Anandtech's excellent coverage of Nvidia's Tensor cores. That said, there's not really much depth to some of the approaches, to the extent they simply boil down to a slight variation on existing FP formats. int8 and int4 coverage could be more interesting, since you could get into the area of the layer types for which they're most applicable and the tradeoffs of using them (i.e. not simply accuracy, but maybe you've also got to use larger layers) and the typical speeds that result. But, that has more to do with how various software frameworks utilize the underlying hardware capabilities than with the hardware, itself.